Cheadle SMUFC are pleased to announce we have once again been awarded the FA Charter Standard. Well done to everyone involved with the club. Well done to the CSMU Chairman and Head of Development for receiving a Highly Commended Coach of the Year award in the Staffordshire FA Grassroots Football awards. 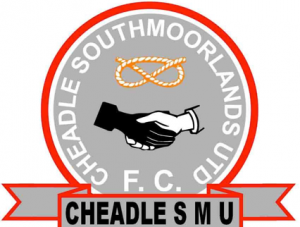 Cheadle SMUFC held the Cheadle Fairtrade tournament today as Milton LMA, Bradwell Blue, Kidsgrove Saints, Newcastle Wanderers & Westlands joined three Cheadle SMUFC U7s teams. A fantastic morning was held by all with all participants being presented with a medal for taking part. What a great morning and thank you To all who took part.